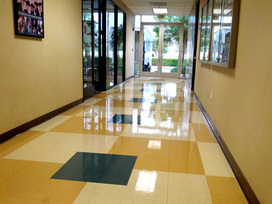 We specialize in floor care in San Bernardino. If your floors don't look like this then you need CEBM. Once we apply 2 coats of sealer and 4 coats of wax you will see the difference. We will spend the time to achieve the results you expect. The result is a clean office that your employees will notice and appreciate!